Phoebe English is a remarkable young woman with an exceptional aptitude for design. Her womenswear and menswear outputs are consistent, evocative and ever-evolving with the times. If one is to collate her work over the past two years what one sees is a chronicle of Brexit, of uncertain times in the global political climate and the human response to them. 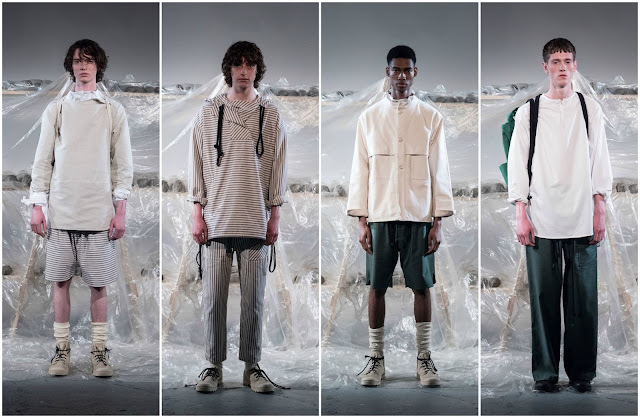 Brexit and the 2017 general election in Great Britain have been the cornerstones to English’s oeuvre; speaking to the LA Times at her menswear—Phoebe English Man—show in June at London Fashion Week Men's, she said “The youth turnout was awesome. We have hope, we are engaging in politics, and voting for a 68-year-old man, a great guy.” She believes in Labour leader Jeremy Corbyn’s working class ideologies, his approach to the youth of today and his ability to connect with them, galvanising them into political action. The Phoebe English man, presumably, subscribes to the same thinking as the designer. Although the sample hasn’t been proved to be large enough to derive a specific statistic, English’s friends are staunch supporters of her menswear line. Her boyfriend—his style is reflected in the clothing. (English started her menswear division by designing clothes for her boyfriend which spawned into a business venture worthing taking on, alongside her full-fledged womenswear line. Limiting herself to eight or ten looks a season, the clothes speak louder than most of the other over-styled rubbish often seen at menswear fashion weeks.) 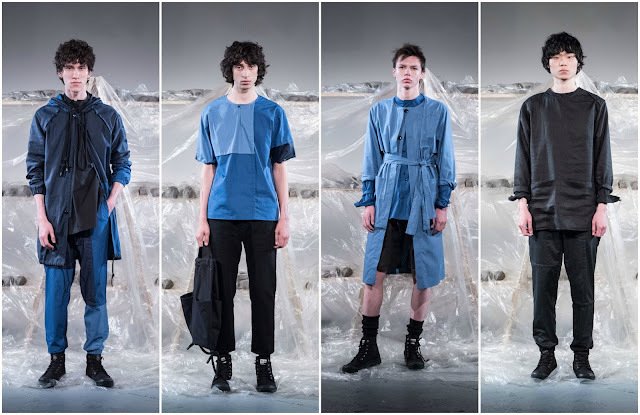 Based on that, the aesthetic is rather minimal with an emphasis on practical outerwear. The latter half of the collection was an expression of hope, which the gleeful English spoke about at her presentation at the BFC Presentation Space. White, traditionally, portrays new beginnings, clean slates, blank canvases. The possibilities are endless. This was coupled with a shade of dark green—rendered in trousers and shorts. Green, Pantone’s 2017 Colour of the Year, is a propagation of hope, boasting restorative properties, allowing one to revive and renew. Pantone selected the colour as a means of reassuring people “amid a tumultuous social and political environment.” It concluded the collection with the intention of looking forward with hope rather than despair. The most common question received by a fashion critic is “what colour is in for the next season?”. Rephrase this: “why are we wearing [insert colour] next season?”… in the case of Phoebe English, colour functions as a tool to tell a story, from beginning to end, eighteen months in eight looks. The four colours are applied to clothing which is quietly political and equally poetic. In eight looks she has managed to express succinctly what others have struggled to portray in forty. To reiterate, she is one of the most outstanding designers around.